Mike Tyson was coming off his crushing victory over Trevor Berbick to capture the WBC Heavyweight Championship after wiping Berbick out in the second round. 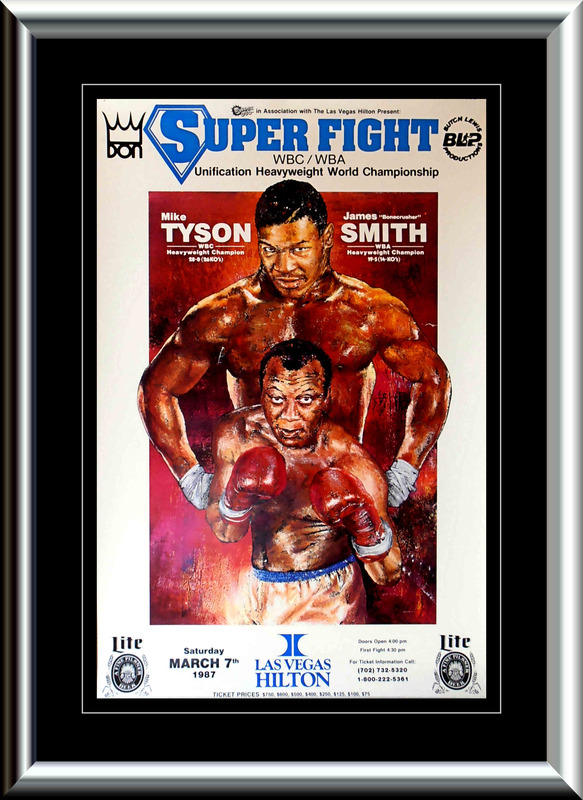 Tyson's next opponent would be the WBA Heavyweight champion James "Bonecrusher" Smith who had pulled of a shocker when he knocked out Tim Witherspoon in the first round to capture the title four months earlier. The stakes for the fight were high as not only would the winner unify the WBA and WBC titles, but they would also get to face undefeated IBF Heavyweight champion Michael Spinks to determine the next Undisputed Heavyweight Champion. But only a month before the fight, Spinks would vacate his IBF title, instead choosing to defend his remaining Lineal Heavyweight championship against Gerry Cooney for a better $$$$$ day, so temporarily putting on hold, the plans of finding the next Undisputed Heavyweight Champion. 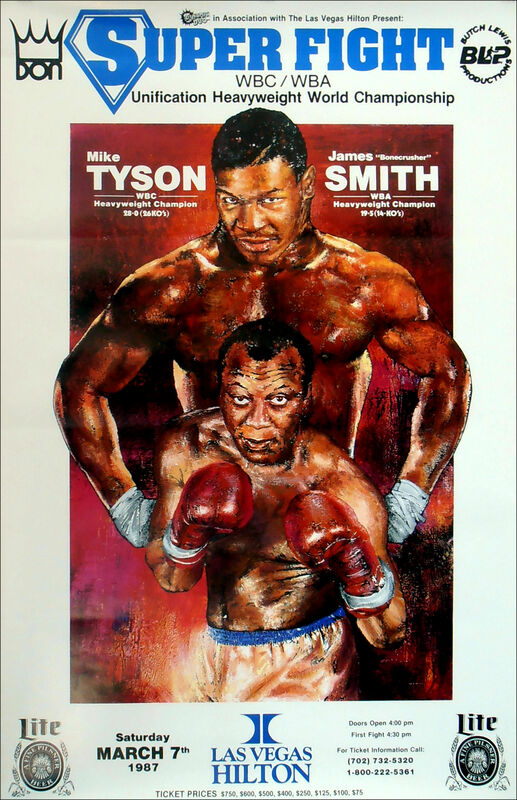 Although Smith became one of the few men to last the entire 12 rounds with Tyson, he showed little inclination to take it too Tyson, instead constantly grappling with Tyson in an effort to reduce the effectiveness of Tyson's punches. Because of the excessive holding, referee Mills Lane twice took a point away from Smith, first in second round, and then again in the eighth. Smith's best offensive pressure arguably was during the fight's final seconds in which he was able to land a right hand to the head of Tyson. Tyson would earn the victory by way of unanimous decision, winning every round on all three of the judges scorecards. Afterwards, Tyson was critical of Smith's tactics, "When I was trying to put the punches together he grabbed. This hurts boxing. This is show business. 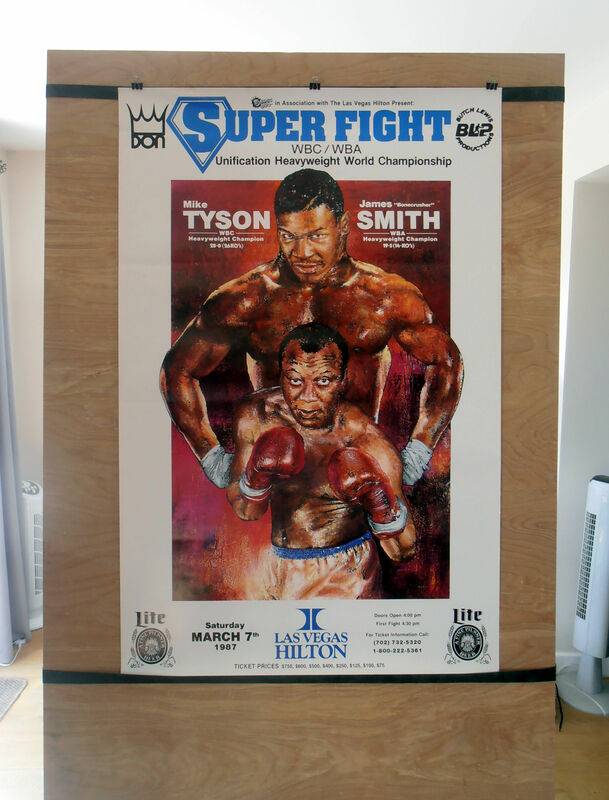 People expect a performance"
This is an extremely rare original poster & it is the ultimate for the discerning Tyson collector.